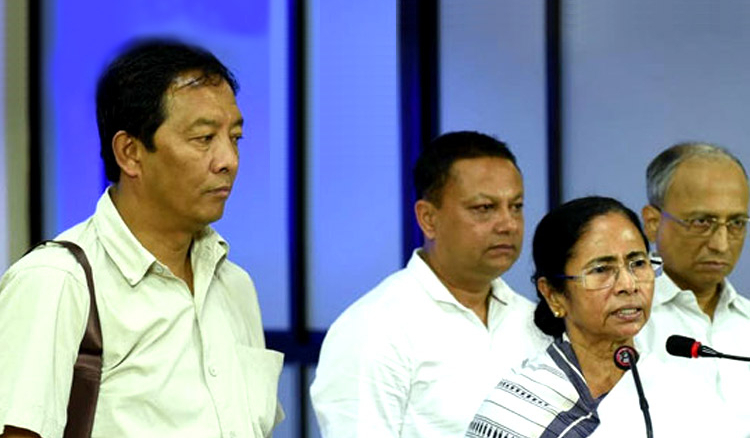 Darjeeling: The term of the Board of Administrators, Gorkhaland Territorial Administration, has been extended for another six months. A notification from the Home and Hill Affairs department, government of Bengal on September 15 stated that an Authority (read Board of Administrators) was appointed under the provision of Section 65(b) of the GTA Act 2011, to exercise, discharge and perform all the powers, duties and functions of the GTA. "The said Authority has been functioning as the Caretaking Authority of the GTA in terms of that notification. And holding of general election to re-constitute the GTA Sabha does not appear to be possible in the present situation" stated the notification. "The Governor, in terms of the relevant provision of Section 17(1) of the GTA Act 2011, is pleased to allow extension to the aforesaid Caretaking Authority of the GTA to function for a further period of six months with effect from 20-09-2018," read the notification. Incidentally, on September 20, 2017, Chief Minister Mamata Banerjee had announced the formation of an administrative board to run the GTA with Binay Tamang as Chairman and Anit Thapa as the Vice-Chairman. The term of the Board of Administrators, Gorkhaland Territorial Administration, has been extended for another six months.